Thumping lumps out of his guitar and singing passionately about life and his own experiences, Paul Henshaw is one of the RIOT FOLK family’s hardest workers, touring relentlessly across the UK, Europe and afar. 2010 saw the release of the melodic debut album ‘Don’t Die Wondering’, and 2 years later followed by "Winners Never Quit and Quitters Never win"
In 2014 he went back to the studio with anger and attitude to produce his first full band studio album titled; ‘I Refuse to Sink’. 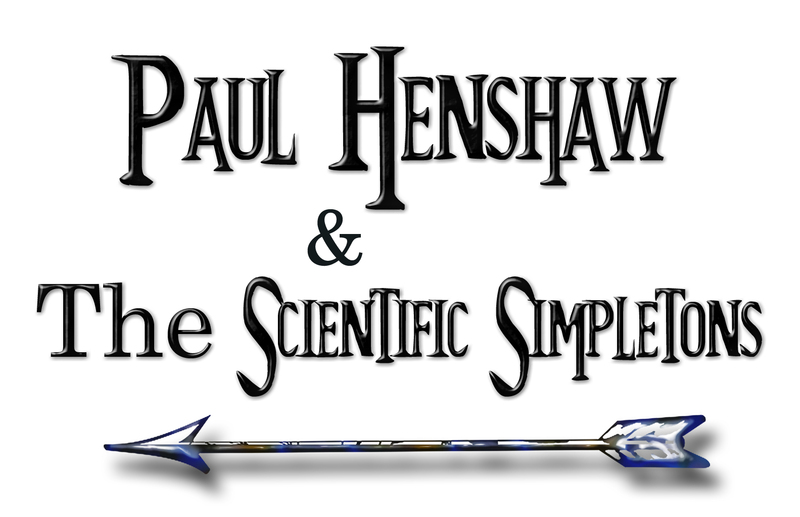 Then in 2016, Henshaw and friends, now known as Paul Henshaw and the Scientific Simpletons, went into the studio to produce ‘You Just Lost the Game’, this album was quickly followed in May 2017 by the third studio album for the band ‘Fishing for Owls’. Fishing for Owls reached #1 in the Amazon album download charts with the singles ‘Stones’ and Fay’s Song’ reaching #1 and #3 respectively. In October 2018 came the release of the third solo studio outing for Henshaw with the strangely titled ‘56A’, which includes the much talked about lead song ‘What if’ and is by far the most complex and heartfelt work Henshaw has produced to date. So the CD review is done and what a classy encounter it has been. The crew apply themselves with thought and care and pour out many acoustic aromas to get your curious hooter around. From a punk point of view this may be too mild, too clean cut and too gentle for some - personally it only proves there are some right silly people about with no sense of variation and, may I add, taste! I saw this amazing band at a festival in Devon, Paul Henshaw and The Scientific Simpletons, at the end of the set the lead singer called me over from the crowd and said with a huge smile "Hey buddy would you like the set list?" You made me feel a part of something, can't ask for more than that! If you are going to be in a band, this is how you do it! One thing is for sure though, whether an aspiring songwriter or a frustrated musician, 'FISHING FOR OWLS' is the one anthem of self-belief that everyone needs to hear.